TEN Years. A whole decade. That really feels like something. Seemed like a good time for reflection. We sat together and thought and talked, my man and I. What’s been our best? What are we looking forward to in our next ten? It was super hard to narrow down one specific moment or event that we thought was our very best. We both agreed that our best thing wasn’t a thing at all. The favorite part for both of us has been that feeling we have that we’ve just always been. There’s kind of an air of timelessness to our thing, a bit hard to describe. Like we just got together and we’ve always been together all at once. Crazy and cool. 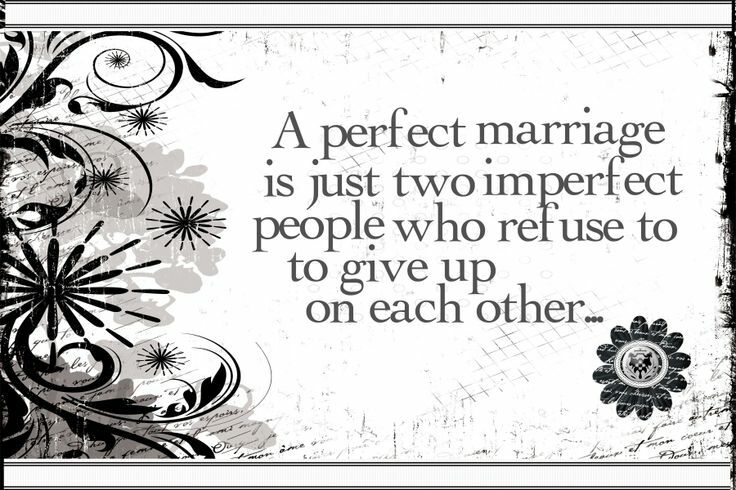 Do we have the perfect marriage? I would definitely say so. 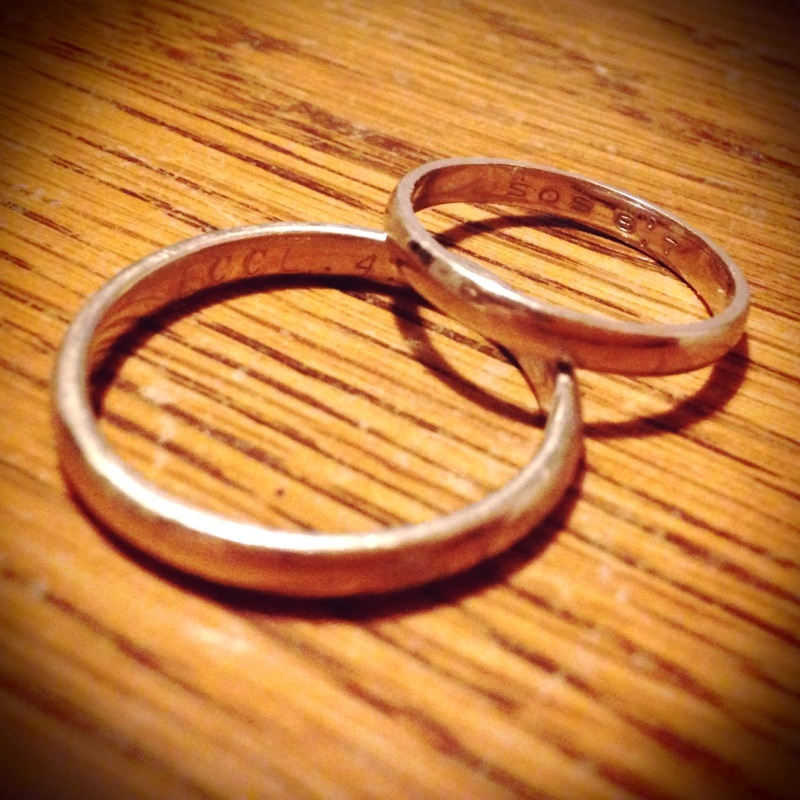 We recounted the unfolding of the last ten years of not giving up on each other. Not when an emotional affair was confessed. Not when our personal sin junk was trying to take us down. Not when we were both working overtime to pay off over $100K. Not when our families gave us zero support in any of our endeavors. Not when the whole pretty picture of a marriage and family started melting into something completely foreign. Not when our son was lying in ICU from a drug overdose. Never. Not ever. Not that we might not have thought about it, because sometimes it just seems a whole heck of a lot easier to give up. But we both decided to stick it out. Fighting back to back. In it together. Sometimes people ask us how we do it. I guess just they’re asking how we do all this life together and still seem to enjoy each other so much. I’d like to say it just kind of happens, but that’s just not true, friends. It takes work. A lot of it. It’s a constant contest to out-love each other. To out-nice each other. To serve one another in love, when we feel like it and when we just plain don’t. We talk a lot. About silly things, wondering things, deep things. We ask each other questions. We silently study each other, figuring out what the other loves and keeping that information tucked away to use in an onslaught of awesomeness at a later time. We try to fight fair when it happens. We spend lots of time together but also purposely spend time apart. We keep things hot. We have great friends who love us and whom we love greatly. We serve others together. Most of all, we love God together, however imperfectly. This is how we do it. And this is the stuff we will keep doing for ten more years, then another ten, and hopefully ten more after that. Whatever we do, we will do it together, wrapped up in a cord made of three strands, not just two. We will keep trying to out-love each other, and mess up a lot while we attempt it, of course. Here’s to our first ten years, and to every moment afterward. So, there’s this movie out called Magic Mike. Maybe you’ve heard of it. It’s completely awesome. Why? Because apparently it gives us ladies complete free license to dust off the ol’ “double-standard” and put it straight to work. Women, I need you to think back: When was the last time your husband called up his buddies and chuckled on the phone about the upcoming new release all about strippers? Did he mark the calendar with the “now in theaters” date? Did they post on Facebook how they couldn’t wait to get home from work so they could head out on a Friday night and watch Channing Demi bare all he she had? Were you super excited for him when his buddy picked him up to have a “guys night” out at the movies together? Did he even arrange for a sitter (after all that helps take away the sting a little) so you could do whatever you wanted while he and his friends from work or church went to the theater early to get a good seat? I mean, you probably didn’t want them to have to strain their eyes to see every single square inch of those barely-clothed actresses’ bodies, right? When he got home, did he tell you all about all the funny scenes with all those hot, nearly-naked women he’d seen on the screen that night?! Because you’d freakin’ go ballistic, that’s why! And as a woman who 1) Loves Jesus and 2) Loves your husband (who also loves Jesus) you’d have every right to be upset. You should expect more than for your husband to choose to spend his evening with a bunch of other guys feeding their eyes in a way that doesn’t need fed. It would make you feel like crap if your husband advertised to the entire world that he was going spend two hours staring at strippers, whether it was on the big screen or in a dingy downtown club. So, then…why are some of y’all ladies doing that same exact thing? I believe we just need to take a minute and think about the ways we want to be respected by our husbands, and that we in turn respect them in the same ways. And if we’re teaching our kids not to look at other people as objects to be gawked over, then we need to make sure we’re setting that example. Can I get a witness? I’m not a prude. Far from it. I haven’t seen the movie and I won’t be seeing it. I’ve read the plot. Not much to it. (kinda helps my point here.) I’m also not trying to say that anyone is a horrible, terrible person for watching this movie. But it saddens me that somehow we women have been persuaded to think we have or “deserve” a license to do/say/watch/participate in things that we know darn well would send us into a tizz if our men did it. In a world where we’re asking men to stop acting like dogs and to step up and be real men, we can’t very well start becoming the dogs ourselves, can we? Just a thought. Every 4th Thursday, a group of my girl friends and I get together for dinner. It might be out at a local restaurant or just bringing a dish to share with each other at one of our homes. No kids, no dudes, just us girls. There are about 8 of us (for now) and we don’t all necessarily make it every time, since we’re all juggling the normal home/work/husband/kids/and/or bazillion other various responsibilities on our to-do list at any given time. But about once a month, these gals and I (known within our group as simply The Divas) carve out a little bit of girl time. And even though it’s difficult to fit the date in sometimes, I know that I am so much better for it. I love these girls. No, wait… you’re not hearing me… I said I LOVE them. Like seriously love them to pieces. Like I-can’t-believe-I’m-even-lucky-enough-to-have-even-one-of-these-amazing-women-in-my-life-let-alone-all-of-them kind of love. I been thinking that since I’ve pretty much gone off the blogging grid for the past few months, (sorry people!) I should probably write my “comeback post” about something incredible. Something super awesome that will captivate every reader. Something flippity-darn superb. Anywhooo…I want to take a moment to share just a few reasons why these women are so important to me. The things you’ll read below are just a few drops in the bucket. Without them I’d be less of a person than I am today. Learn from these beauties. Fo’ real. These ladies are givers. They pray for me (and for each other) anytime we need it, and especially when one of us thinks we don’t. They cook meals for people who aren’t well, or for other women who just had babies. They willingly give out even more of their already stretched-thin time to help someone else who is in need. They are each connected in unique ways to amazing causes that better the lives of children, empower women and families, fight cancer, bring clean water to people who don’t have it, etc.. etc.. And I am sure my tired, foggy brain is leaving something very cool off that list. Seeing these women, who are in many ways more busy than I am, give of themselves in all of their various ways and never ask for anything in return…I’m so inspired. I’m a more generous person because of these women. These women are devoted wives. They regularly praise their husbands. Vehemently. Loudly. Publicly. Often. They constantly pray for their men, who they know fight everyday battles both on the outside and the inside. When everything around them says: don’t even bother relying on a man; fight for what you deserve; you better get busy with controlling everything because Laaawwwd knows there ain’t no man who can do anything right these days… Even with all that nonsense floating around them, they are the first to speak up to encourage their husbands and let them know they are loved, appreciated, and respected. With their words and with their actions, they encourage the rest of us to do the same. I’m a better wife because of these women. These girls are some amazing mommas. They have all kinds of wild adventures raising their wildly different children! They parent with very healthy boundaries and loving temperaments, but never, ever by taking themselves too seriously. They respect their kids as individuals, wanting what is best for them and knowing that it naturally lines up with what God says is best, not whatever is on TV that night. They understand that the upbringing of their children has earthly impact and eternal value. These women have blessed me by recognizing that motherhood comes in all shapes and sizes and colors. They’ve allowed me to share my heart as a mother, no matter how unconventional. I am a better mother (and teacher-momma!) because of these women. These women are just the right mix of freakin’ hilarious and reflective. There are few people on earth that can get me to nearly squirt soda out of my nose or almost pee my pants because of the crazy stuff they say…Unless you count these ladies! They all know how to laugh at the right time and cry at the right time and tell you to get a grip at the right time. We laugh together on a regular basis. We’ve wept together when we’ve needed to. We’ve questioned and doubted and been confused together at times. We’ve thought about the what if’s and the why’s and the how’s of all the things we see in front of us that we just know God’s got, hands-down, even when they don’t make sense to us. Then 5 seconds later we’re cracking up about the legendary antics of a certain infamous clerk (who works at a certain store whose name I shall not disclose here. I will only say that its name rhymes with “Tall-Fart.”) That’s what life is really like…different from every moment to the next. I am a more real person because of these women. So, my Divas…if you’re reading this, I want you to know how thankful I am to have each of you in my life. I have no idea how I have become so utterly blessed. I need you to know that I wouldn’t be the same without the influence you have on my life. I am so inspired by the way you love Jesus and how He shows up through you all the time, even when you think you’re not so hot. I have come to realize that you are all part of the repayment that God promised me years ago, and you were worth the wait. Thank you so much for being my friends and sisters (aka sista-wives! HA!!) I love you. Now get outta here and get back to being awesome. Happy Report: The blog that I mentioned in yesterday’s post about the whole Board-of-Directors thing has been found!! Now I can properly link to the post I was talking about so you can read this writer’s brilliance for yourself. Here’s the original post, over at Simple Mom. I feel much better being able to give credit where credit is due! It was driving me crazy not to be able to link you back there. Thanks to Simple Mom for the amazing idea of the Board of Directors. That was ALL her… I love it! Along that same line…we had home group the other night and my hunky husband decided to share one of his devos from this week… it was about Exodus 17 where Israel is battling the Amalekites. Moses stood on a hill and held out the staff of God, which showed God’s presence among His people. As long as Moses did this, they were victorious. But after a while Moses’s arms got tired, and they began to lower. So what happened?? How awesome that Moses had such good friends/family that he could count on them to hold up his arms when he got weak! Much more on this another time…but for now I just want to reiterate that we are made for relationships…Moses had his peeps, and we certainly need ours to hold up our arms when we need a boost. Victory will be the result. Lastly, I read a verse of the day that I read as a regular part of my bible time, and guess what it was?? AWE-SOME. Definitely more to come on this and maybe even the whole book of Galatians…we’ll see how that all lines up. PS: 60 days until India! Moments, Day 21: Board of Directors. I am just kicking myself for not paying better attention to where I’m going when I read a blog that I linked through from a blog I found, by clicking through some other blog I love to read. Usually it’s no biggie, because eventually I’ll find it again. Unless of course I’m looking for it specifically so I can link back to it when I refer to it in one of my posts. Such is the case today. So I read this awesome post yesterday, which I believe was titled “Board of Directors” (I already googled it, didn’t find what I was looking for.) A writer/speaker was talking about how she met for lunch with a group of lady friends who, along with her, would be speaking at an upcoming women’s conference. During their lunch conversation they got to talking about how their lives were super busy with all the writing, speaking, traveling, and general living (you know, like raising kids and being married and cooking and cleaning and worshiping God and stuff) they had to fit into that same 24 hours that we all get. One of them (I think it was the author) said how she was kind of starting to get the feeling that all the opportunities that her writing had brought her (traveling to speak, etc..) was actually starting to hinder those other important areas of her life. She seemed to give off the feeling that she was needing to say “no” to some stuff in order to keep her priorities in check. So the group of ladies started talking about how they needed a personal board of directors to help them making important decisions like which book deals to take and which speaking engagements to accept or decline. Some folks who knew enough and cared enough about each of them to say the hardest word that many of us ever have to say…no. That way, those good-but-just-short-of-the-best items never make their way onto their calendars or to-do lists for them to fret over. Yep, it sure would be nice to have a Board of Directors that you could take that stuff to in order to help you make important decisions. Then, the author shared, the ladies realized that they didn’t have to be the CEO of some multi-gazillion-dollar corporation…they could have a board of directors, right there in the middle of their crazy, everyday lives. In fact, they realized that in being close friends who cared about one another and shared some of the same life aspects, they could be each other’s board of directors. What a cool thought! I was thinking that I certainly do have a wonderful group of close friends that I could call on to be my Board of Directors. As a matter of fact, they kind of already are and they may not even know it. I suppose they were chosen for the task just by being so important to me. I naturally run decisions by them and talk about my fears and screw-ups and share the cool parts of my day-to-day operation. They give opinions, share stories, and give feedback (without ever even getting paid for it!) It was cool to think that I already have that Board of Directors in place in my life. I bet if we all thought about it for a moment, most of us probably already have a Board. Maybe you have a dozen members on yours. Maybe it’s only one member for the time being. Think. Really think about it. If you cannot even think of one person that you have this type of relationship with, then may I lovingly challenge you to ask yourself…why not? Is there something keeping you from making these friendships? Or do you have several friends but something has just kept you from growing close enough to anyone to feel comfortable sharing your life’s details with? Whatever the situation, ask God to reveal to you the reason behind your lack of friend-relationships. He made you for relationship, which is the primary way that we give and receive His love. In relationships with friends, we give and receive phileo love, which is the Greek word for the fondness that we feel toward someone who we simply enjoy being around, someone we are kindred spirits with, and who energizes us with their presence. Think of Philadelphia…the city of brotherly love. Who are you getting your phileo from these days? Who is helping you make the big decisions? Who is syncing your calendar and keeping it prioritized in the right way?